Origin Energy has welcomed financial close on the Bungala Solar Project, with the company signing an agreement to buy all of the renewable power from the plant. This brings Origin’s recent commitments to new utility scale solar plants to 550 MW and also puts the company well on track to meet their commitment to build or contract 1,000 MW to 1,500 MW of new renewables by 2020. The latest agreement will also drive a substantial change in Origin’s generation mix with the share of renewables almost tripling from 12% in 2016, to a projected 30% by 2020. With a generating capacity of 220 MW, the upcoming Bungala Solar Project will be one of the largest solar farms in Australia. The Bungala Solar Project also represents Origin’s largest ever solar power purchase agreement, enabling the company to increase the quantity of renewable power provided to their 4.2 million customers across Australia. Located about 10km northeast of Port Augusta in South Australia, the Bungala Solar Project will occupy an 800 ha site on land owned by the Bungala Aboriginal Corporation (BAC). The single axis tilting design utilised in the project will allow the solar panels to slowly follow the sun throughout the day, maximising solar power generation. The project will have a generating capacity of 220 MW, making it Australia’s largest utility scale solar plant. 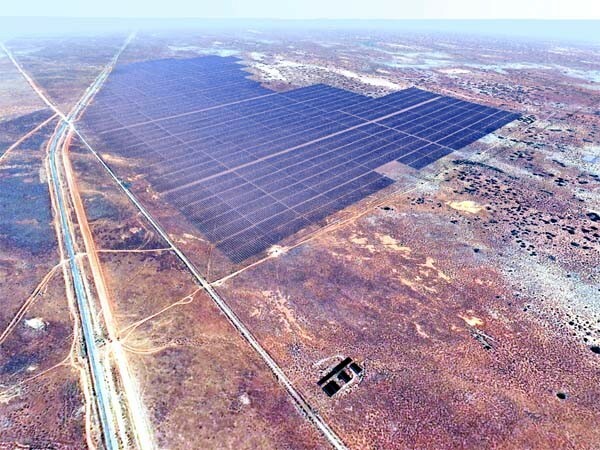 Bungala joins a range of large scale solar farms that Origin has contracted to buy power from, including the Moree solar farm in New South Wales. Origin CEO Frank Calabria observes that the company, over the past year, has underpinned about 550 MW of new renewable energy projects, representing approximately one third of the capacity of the recently retired Hazelwood Power Station. Origin now aims to build or contract up to 1,500 MW of new renewables by 2020, almost replacing the Hazelwood capacity entirely – this will be critical to delivering the clean and reliable energy supply demanded by Australian homes and businesses. Origin is playing an important role in Australia’s transition to cleaner energy.